Scouting: What Do You Look For? ABC's of Elk Scouting Part 1 - "Game Camera Placement"
ABC's of Elk Scouting Part 2 - "Remote Scouting"
On the ground Elk Scouting, what do you do? 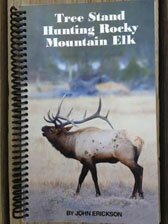 Where Do I Start On My Elk Hunt? Hunting newly cut clear cuts?